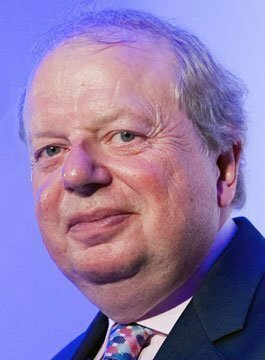 John Sergeant is a broadcaster and former political correspondent. Sergeant studied philosophy, politics and economics at Oxford as well as being a leading light in revues including the Edinburgh Festival. In 1966 he was chosen by Alan Bennett to appear in his award-winning BBC TV comedy series ‘On the Margin‘ ahead of fellow student, Michael Palin. In 1967, John became a trainee at the Liverpool Daily Post and Echo, before joining the BBC in 1970 as a radio and television news reporter. John’s assignments included covering events in Vietnam, Rhodesia, Northern Ireland, the Turkish invasion of Cyprus and the Israeli invasion of Lebanon. For two years he covered European affairs and the first sessions of the directly elected European Parliament. He wrote and presented a BBC TV documentary series called The Europe We Joined. He has also, at times, presented all the main current affairs programmes on Radio 4, including Today and The World at One. In 1990 John Sergeant won a Press Guild Award for the Most Memorable Outside Broadcast when Margaret Thatcher interrupted his live report from outside the British Embassy in Paris to announce her participation in the second round of the Conservative Party leadership ballot. John left the BBC and joined ITN in March 2000 as Political Editor. When he was at ITN John Sergeant reported on all the key political issues of the day both at home and abroad. In 2002, Sergeant stood down as Political Editor of ITN and returned to his love of light entertainment. In 2002 John published his memoirs, Give Me Ten Seconds. In 2005 he released a book on Margaret Thatcher – Maggie: Her Fatal Legacy. John is available to host award ceremonies, facilitate conferences and to present entertaining after-dinner speeches.